Continuing his testimony, Herbert Okun says Radovan Karadzic and Bosnian Serb leaders did not deny the ethnic cleansing committed by their armed forces during the course of the war. "In all our discussions with Bosnian Serb leaders pertaining to ethnic cleansing, they did not deny it. Whenever we asked them about it, they would say 'Look what the others are doing to our people', or, as Karadzic put it - 'Sarajevo is a concentration camp in which Serbs are held as hostages and prisoners'. Those were the typical responses we got. Nobody ever denied that the Serb forces were conducting ethnic cleansing," Okun said, testifying for the Hague Prosecution. Okun, a former member of the International Peace Conference for the former Yugoslavia of the European Commission and United Nations, UN, began his testimony http://www.bim.ba/bh/215/10/27557/ on April 22, when he spoke about the meetings and peace negotiations he held with "the leadership of the Bosnian Serbs" and indictee Karadzic. 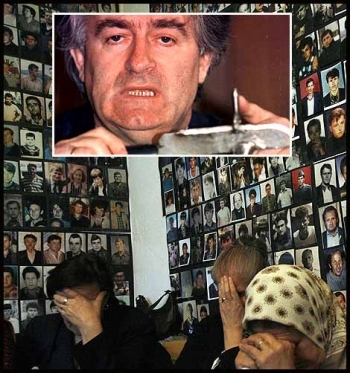 Karadzic, former President of Republika Srpska, is charged with genocide, crimes against humanity and violation of the laws and customs of war committed from 1992 to 1995, as well as participation in a joint criminal enterprise with the aim of permanent removal of Bosniaks and Croats from the parts of Bosnia and Herzegovina which Bosnian Serbs "claimed as their territory". The witness said the International Peace Conference received "information about widespread ethnic cleansing" from the Red Cross, UNHCR and UNPROFOR during the course of 1992. "As a result of the ethnic cleansing of the areas, most territories situated on the west bank of thhe Drina, including seven municipalities in which Muslims were the majority, were occupied by Bosnian Serbs and the Yugoslav National Army. The same thing happened in Posavina, in Brcko area, which was an important goal for the Bosnian Serbs, and in the western part of the country - in the Prijedor area. However, the main areas of ethnic cleansing were the Drina valley and Posavina," Okun said. He told the Court he discussed the issue with Karadzic several times, adding that the indictee did not deny that ethnic cleansing was ongoing, but he used to say that "different ethnic groups cannot live together in Bosnia and Herzegovina". "Dr Karadzic said on several occasions that the different ethnic groups had to be separated. He said that, on some uncertain date in the future, it may be possible for them to live together, adding that this was definitely not possible at the time, because there was too much animosity," Okun recalled. Answering Prosecutor Alan Tieger's question, witness Okun confirmed that the Bosnian Serb forces, which were under Radovan Karadzic's "absolute control", controlled about 70 percent of territories in Bosnia and Herzegovina during 1992. "Dr Karadzic mentioned this issue more than once. He said the other party, i.e. Muslims and Croats, had human force, while the Serbs had weapons, adding that they could not give up on their weapons. (...) Karadzic said that, unless the Serbs got what they wanted, they would use force to get it," the witness said. During the course of cross-examination Karadzic asked if it was common for negotiating parties to "pretend to be stronger than they really are" in order to gain a better position in negotiations. The witness responded by saying this "does happen, but not often". "It can lead to a counter reaction. I would say it happens, but not very often and definitely not in serious situations and negotiations," Okun said. Karadzic will continue cross-examining witness Okun at the next hearing scheduled for April 26 this year.